The dive master is prochooi of NAUI.The dive master gathers up a technique, guiding and wears a technique and knowledge, a skill to come to be able to help with the diving activity. There are open water session and confind water session. You learn five themes of the "beach diving" "night diving" "boat diving" "accident management" "assist of try scuba diving" with the open water. Classroom session, You acquire the knowledge that is necessary for plan of diving and enforcement, method of guide, NAUI dive master including the confirmation about rescue. 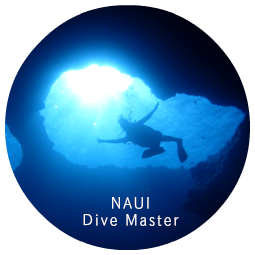 You become able to guide a diver as NAUI dive master after the course completion in the ocean. Open water 10 dive or more. You learn Beach Diving, Night Diving, Boat Diving, Accident Management, an assist of the Try Scuba Diving with the open water. You carry out a NAUI leadership common skill in confind water. You learn a plan of the diving, way of the guide, necessary knowledge including the confirmation of the rescue. Satisfying NAUI leadership common skill. NAUI Scuba Diver certification,NAUI Advanced Scuba Diver certification,Current NAUI CPR&First Aid certification,NAUI Rescue Specialty Diver certification,Specialty certification(More than 3 kinds) is necessary. There is scuba diving experience with more than of 25 dives that environment, depth, activity contents are various(Dive log record is necessary). 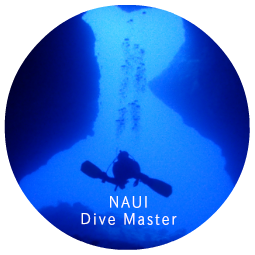 It is necessary to pass through experience of diving more than 30 with open water after you meet a dive master course participation precondition to complete NAUI dive master course, and to receive qualification authorization. When you receive the authorization of NAUI master scuba diving, these requirements are exempted from. 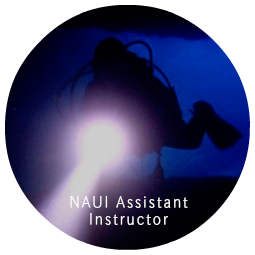 The qualification of NAUI assistant instructor is a course to become able to be active as an assistant of NAUI instructor. 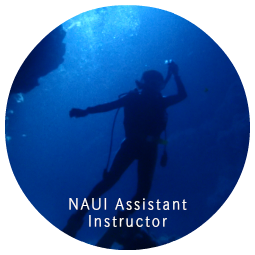 You perform basic training of diving instruction and acquire the necessary basic underwater skill as the NAUI leadership. You can estimate it as the charge of the classroom part of the scuba diver course and the instruction in the pool alone. And you can do the safety management of the participant with the open water. NAUI Scuba Diver certification,NAUI Advanced Scuba Diver certification,Current NAUI CPR&First Aid certification,NAUI Rescue Specialty Diver certification,Specialty certification(More than 3 kinds),NAUI Master Scuba Diver certification is necessary. A variety of scuba diving experience more than 20 times is necessary.